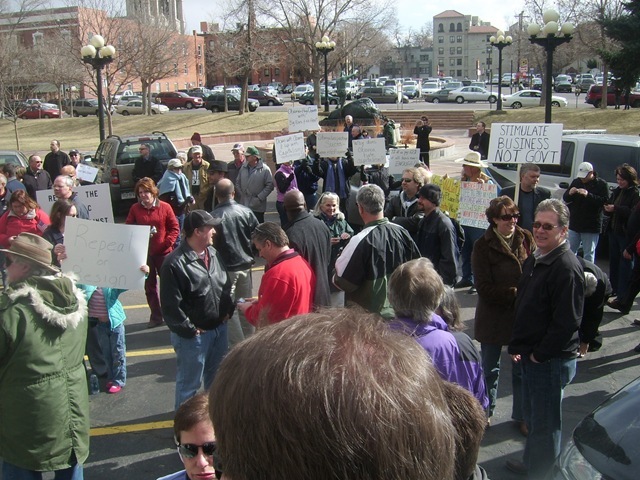 Denver Tea Party | Holy Hell! From the book, The 5000 Year Leap Principles of Freedom. I’m on my second reading of this book, this portion stuck out to me and fits in well considering the nation wide tea parties held yesterday. [they, the citizens] often degenerate into faceless automatons who have neither a voice nor a vote. We had a great event today with some great speakers. I’d estimate the crowd at 200 others are guessing 300. We had a guestbook but not all persons signed. At any rate, we may not know the exact number of persons who attended, but we had a great crowd considering this was thrown together very quickly. Big thanks to Brian T Campbell who organized the event and all those others who assisted him. Thanks to Jon Caldara of the Independence Institute who went out of his way to join us and speak. I also meet Dan Murphy of Audit Congress.com who at my invite was kind enough to speak. We hadn’t know he was to be there, he was a great addition. Please go visit his site and sign the petition for Congressional audits. The best part of this was post rally. Everyone didn’t just run off at the end. 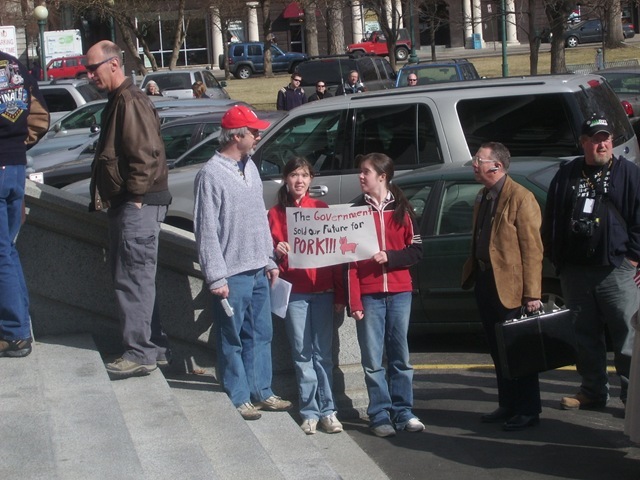 People gathered in small groups and discussed issues and solutions. This CANNOT be the last time this type of thing is done. 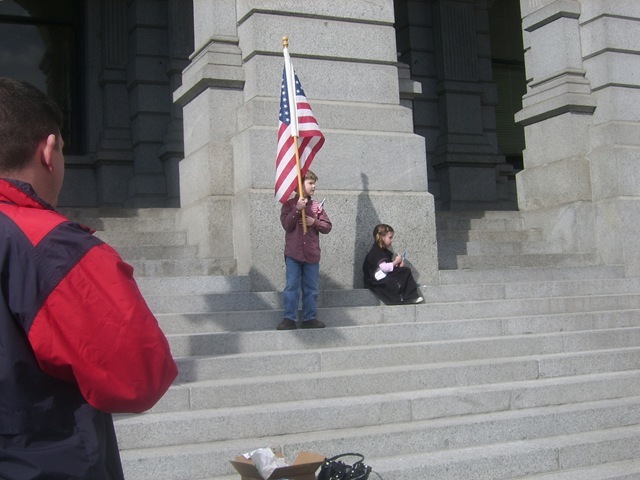 Denver Tea Party; President Obama Are You Listening?! 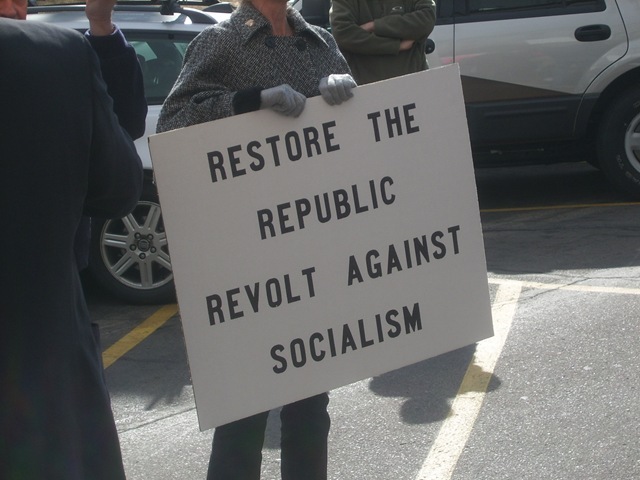 Unless you were visiting another planet last week then you have seen the video of CNBC’s Rick Santelli and his suggestion of another Tea Party. If you haven’t seen the video, then welcome back to earth, you may view the video at the end of this post. 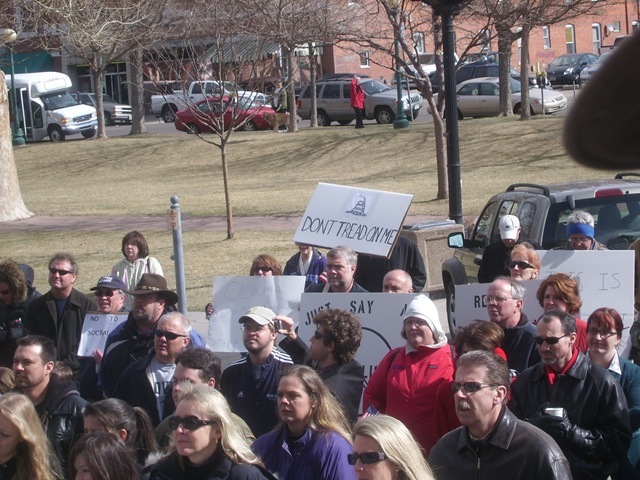 Denver will be one among many cities across the nation to hold a Tea Party. If you live in the Denver Metro area then please join us. 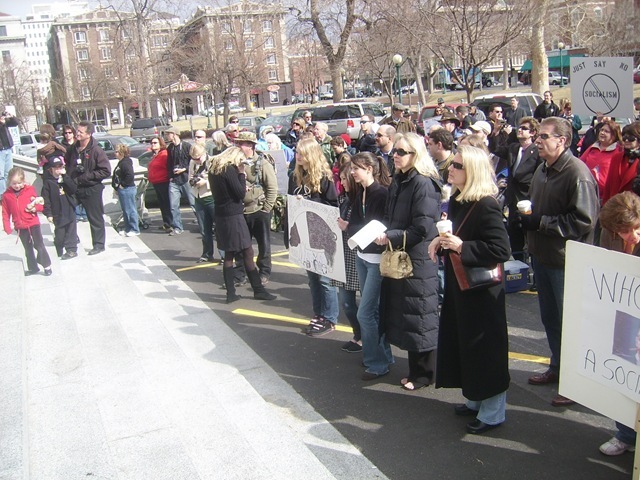 We will meet Friday the 27th of February, 10:00 AM on the steps of the state capitol, Broadway and Colfax. Bring your digital camcorders and cameras, the nation is going to go viral with our event videos and images. President Obama will hear us. There is a conservative grassroots movement picking up steam in America like we have never seen before. This movement is being lead by such groups as TCOT (Top Conservatives On Twitter), SGP (Smart Girl Politics) and the Don’t Go Movement, as well as national radio host Glenn Beck. The left has long been superior at networking and at winning the war of words, we can no longer afford to let this be the case. We need to join together as conservatives and we ALL need to speak. Together we can counter their lies and deception with the plain truth. So again, please join us if you live in or near Denver. If you do not live in the Denver area follow one of the links below to either find a Tea Party in your area or organize one. This is your nation, don’t let it be stolen from you. This is your child’s nation, don’t let it be stolen from them. Facebook members serach for a Tea Party in your city or organize a Tea Party. Not a Facebook member? Search for or get info on organizing a Tea Party. Filed under: American Politics | Tagged: Boston Tea Party, Chicago Tea Party, CNBC, Denver Tea Party, National Tea Party, Rick Santelli, TCOT |	Comments Off on Denver Tea Party; President Obama Are You Listening? !